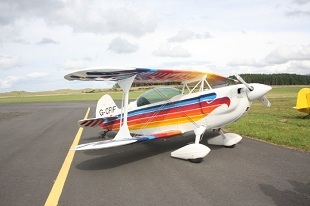 Sligo Aero Club has been training pilots for more than 35 years – firstly at a grass strip near Coolaney, Co. Sligo and since 1978 at the current Sligo Airport location in Strandhill, Co. Sligo. members. Hence we can offer very competitive rates – especially to aspiring commercial pilots who need to build hours. 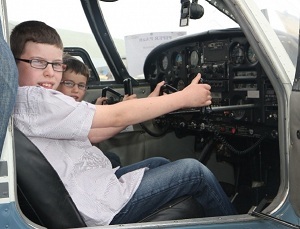 Hundreds of pilots started their aviation training with Sligo Aero Club and many went on to have airline careers with the major airlines – including Aer Lingus, Ryanair, Easyjet, Aer Arann etc. Our aircraft are maintained at Sligo to the highest standards by Usher Aviation – therefore availability is always assured. We can arrange the use of a Piper PA28/180 also as well as tail-dragging experience through local private owners. The aviation facilities are second to none and, as well as our own clubhouse and we have full access to the terminal building for snack-bar & toilet facilities. Our location, with five controlled regional/international airports along the West Coast - some with full ILS etc (EIKN is 23Nm to the South) - as well as many smaller airstrips makes it a joy to fly and train in uncrowded airspace.